When it comes to occupying the children over the weekend, the Xbox, Playstation or another games console is not often the best idea. However, encouraging your children to read will allow for better literacy practice and will also offer many educational benefits. Sharing stories and reading words aloud encourages the imaginative and creative aspects of your child’s mind, as well as improving their concentration and listening skills. In our wide selection of books, your children can be kept entertained for hours with the dazzling array of pictures and enchanting narratives. The OKIDO magazine is designed for children who are interested in arts and science. Featuring images by contemporary artists, the magazines focus on a different theme every month. With no advertising to influence the content, both adults and children will find this publication an interesting read. 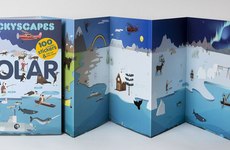 Aimed at very young children, these books are a great starting point to literature. They are an excellent way of introducing topics such as the alphabet, numbers, nature and transport. Filled with colours and simple language, the books are sure to be a fantastic first reading experience. 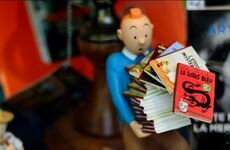 Follow the adventures of Tintin with these delightful stories which introduce different themes to children such as numbers, colours and animals. With a distinctive selection of images, Paul Thurlby creates a high quality graphic style that is both fun and inspiring. Providing a range of drawings, narratives and poetry, Silver Jungle’s publication of books are full of facts and surprises that are sure to be informative and engaging. In our selection of children’s stories that are beautifully written and illustrated, you are sure to find a book that suits every child’s interests.